May16 -- The temperature finally felt like it had risen today. I broke a sweat as I made my way to the Olympia theater to see "The Bang Bang Club," directed by Steven Silver. The film is based on the novel titled "The Bang-Bang Club: Snapshots from a Hidden War," written by Greg Marinovich and Joao Silva. The book and film are about photojournalists and their intense struggles to capture the violence that was taking place within the various townships of South Africa during apartheid. Ryan Phillippe plays the role of Greg Marinovich and Taylor Kitsch plays one of his friends and colleagues, Kevin Carter. I much more enjoyed the performance of Kitsch than Phillippe, especially when it came down to the believability of their South African accents. My mom is South African and I have spent some time visiting the beautiful country. About three years ago on a trip to Cape Town, and after a viewing of Mark Dornford-May's wonderful South African film "U-Carmen," star of the film, Pauline Malefane kindly offered us a tour of her township, which is the one featured in the movie. Even though apartheid has long been over and even though we couldn't have had a better guide, I was extremely nervous when I entered the township of Khayelitsha. Although nothing dangerous happened while we were there -- in fact the experience was quite the opposite of scary -- the film still brought back those initial feelings of fear, and showed the violence that can easily erupt within it. 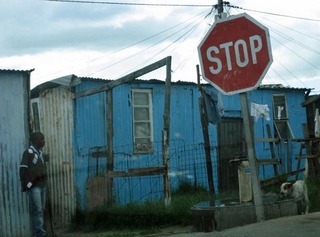 This picture was taken a few years ago as we were driving out of Khayelitsha, the township we went to visit in Cape Town. After the film, the producer Daniel Iron spoke to our group of students. He told us that Marinovich and Silva were actually on set everyday and that it often got "very emotional behind the scenes, but it was great to have them around for authenticity." The shoot was only 25 days, which would seem almost impossible after watching the various and detailed township scenes that were "shot on location," according to Iron. This is Silver's first feature film and is a coproduction between Canada and South Africa. The next film of the day was "Heartbeats," directed by Xavier Dolan. The film had premiered the day before and was replaying in the Bazin, a theater inside of the Palais. My sister and I got there an hour before show time and the line was already more than half way down the long hallway. The theater seats 350 people and as the hour passed the line grew significantly. There was no way everyone was getting in, but I thought we would make it. I turned out to be wrong. What happened to us seemed like it was straight out of a bad movie. 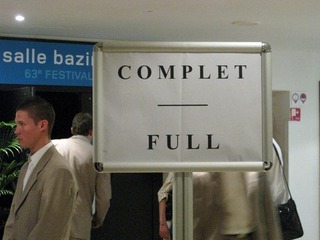 A guard slammed the "Complet, Full" sign directly in front of our nicely painted toenails. After trying to do some quick negotiating, we were turned away, along with a big group in front of us, who had been given even more false hope than us. This is when the Cannes pocket guide comes in handy. "Inside Job," a documentary directed by Charles Ferguson ("No End in Sight") is about the reality behind the economic recession and the heavy weights that caused it. It was playing right around the corner, and thankfully we made it in. 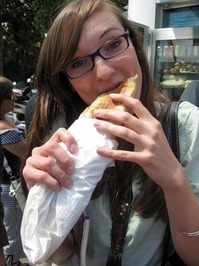 Rachel Deel takes a bite of her delicious chicken pesto panini in between screenings. May 17- Panini are by far the quickest and easiest way to eat during the film festival, especially if one is on a budget. After skipping breakfast to make a movie, I ate yet another chicken panini (sans tomate) as I made my way to hear Elizabeth Guider, editor of the Hollywood Reporter, speak to our group of University of Georgia students. She gave advice about film reviewing during the festival, saying that the most important and sometimes hardest part is having a decent schedule and sticking to it. "It's all about the pacing," she said. Although this is seemingly logical advice, it is much easier than it sounds, and I think the students were glad to hear that professionals struggle with it too. Cannes has many temptations. Parties and interesting people are everywhere and hours pass like seconds here in Cannes. Guider said that she has five full time reporters and one freelancer here this week and all are writing about three reviews a day, as they have a less than 24 hour turnover. Guider also spoke about the many festival buyers and how their limitations have become quite narrow over the past few years. Some companies that used to purchase anywhere from 13-15 films over the course of the festival are walking away with only one. "The buyers are being much more cautious," she said. Elizabeth Guider, editor of the Hollywood Reporter, talks to the University of Georgia students here in Cannes. Guider started as a freelancer in Paris and wrote about some films, but mostly reported on theater. She later wrote for Variety and then moved to the Hollywood Reporter. Paris, London, New York and Los Angeles were just some of the big cities that she mentioned living in throughout her life. The talk ended on an inspiring note for all aspiring film critics, stating that the possibility of getting a job as a film critic is still very much so an option. "Biutiful," directed by Alejandro González Iñárritu and starring Javier Bardem, was the red carpet premiere of the evening. For only the second time during this festival, I put on some heels and held up my sign to ask for an invitation. Countless times someone would walk up to me while reaching into their pocket, only to pull out their camera, iFlip, or phone, to document my efforts. It wouldn't have bothered me so much if I hadn't thought the person was instead going to pull out a shiny silver ticket and hand it to me. After an hour and a half, I still had no ticket in hand, but then a student kindly shared an extra one that was given to her. Our seats were the best balcony seats in the house. Somehow we made it to the front row of the balcony, making the entire orchestra, which included Bardem and his rumored fiancé Penelope Cruz, perfectly visible. I had to keep myself from crying many times throughout the powerful film, as I was not wearing my waterproof mascara. However I did not fully succeed and a few tears escaped and went rolling down my cheek. 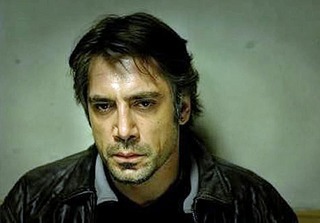 The film follows Uxbal, played by Bardem, and his secret diagnosis of terminal cancer. He has two children and a wife who suffers from bipolarity, and who he often has to kick out of the house. His illegal job is not much better, and he spends the majority of the movie trying desperately to avoid the fact death is on its way. The movie received a ten-minute standing ovation. 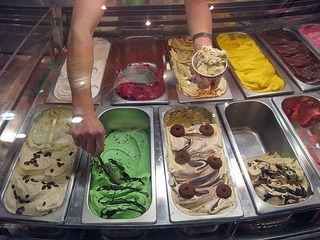 After the movie, ice cream was much needed. It was my first scoop of the trip and after tasting the delicious mint au chocolat, I couldn't believe I had waited that long. Tomorrow night, I think I will head to the movie on the beach. 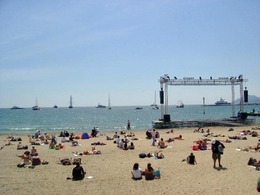 Each night a film is screened on a gigantic screen right in front of the water. Warm blankets are distributed and feet are pushed into the cool sand. 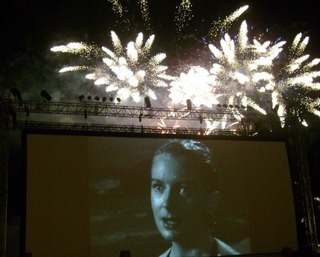 My sister went to see "From Here To Eternity," the other night and in the middle of the movie a yacht began setting off some of the biggest fireworks she said she'd ever seen. When I attend tomorrow, I will hope for a repeat.